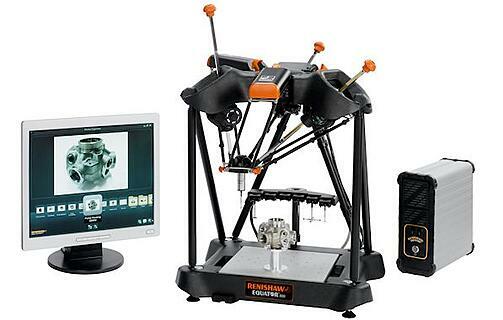 The Renishaw Equator™ is a highly versatile gauging system designed for ease of operation, high repeatability, quick reprogramming and portability. Equator's innovative and highly repeatable gauging technology is based on the traditional comparison of production parts to a reference master part. Re-mastering is as swift as measuring a production part and immediately compensates for any change in the thermal conditions of a shop-floor environment. CNC Engineering offers Equator integration solutions for both manual and automated operation. With the ability to switch between parts in seconds, a single Equator is able to gauge parts from multiple turning centers, machining centers and grinders in one manufacturing cell. Equator can also be rapidly loaded and unloaded by a FANUC Robot. When integrated to a FANUC CNC, manufacturers can achieve a fully automated process consisting of machining, post-process measurement and automatic tool compensation with zero operator intervention. 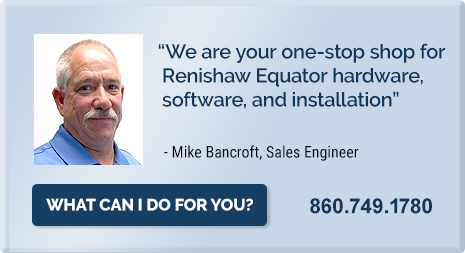 As the exclusive Northeast Renishaw Distributor Integrator, we offer a turnkey Equator™ solution, supported by professional installation, part programming, on-site operator training and after-sale support.